Surf the Web in Style! 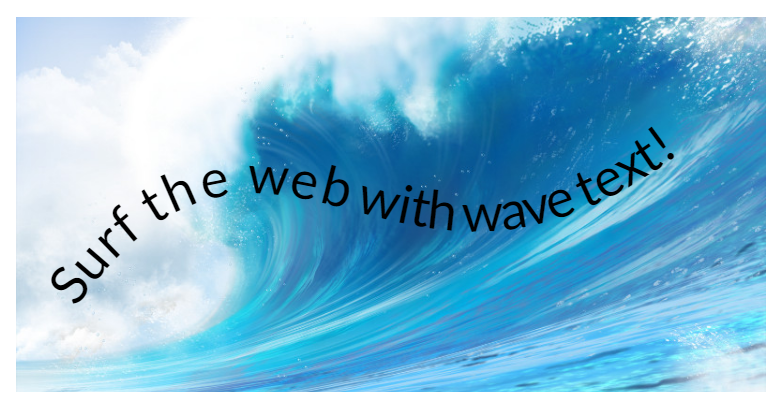 Wave Text allows you to create curvy and wavy text. Ideal for slogans, or displaying text in an attention-grabbing manner! Wave - make text appear wavy!